When you suffer an injury to your ankle, you need to think about what should be done in order for you to have the best care possible. 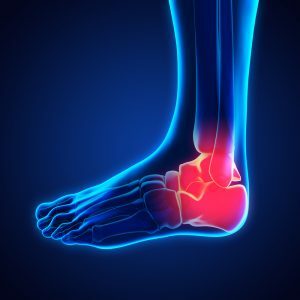 If by some chance it seems as though the injury is severe and you could have to have surgery, the team at Mill Creek Foot and Ankle Clinic will be able to help you by explaining your options in broken ankle treatment and surgery in Renton. If you end up stressing your ankle joint so that it goes beyond its regular strength, you can injure it or cause a fracture. Whenever there is only a torn ligament, you are dealing with a sprained ankle. If there is a bone that ends up giving way and breaking, you have what is known as a fracture. Depending on the severity of your injury, you could have both a break and a tear of your ligaments. This is something that can cause a great deal of pain and even make it so that it is almost impossible to put all of your weight on your foot to walk.
. This plan will include a full workup and medical history and then explaining all of your options for surgery. From there, we will be able to go over your recovery period, the length of time that it will take to heal, pain management and even physical therapy that you can do while you are on the road to recovery. Call Mill Creek Foot and Ankle Clinic at (425)482-6663 for broken ankle treatment and surgery in Renton to learn about complications and pain management.